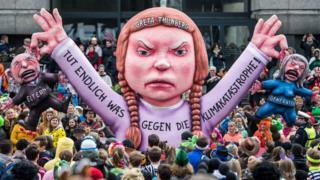 At just 16 years old, Greta Thunberg has started an international youth movement against climate change. 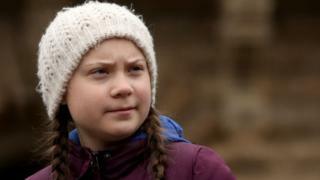 The Swedish teenager first staged a "School Strike for Climate" in front of the Swedish Parliament in August last year. She continued to gain international attention after speaking at the U.N. Climate Talks in Poland last December. 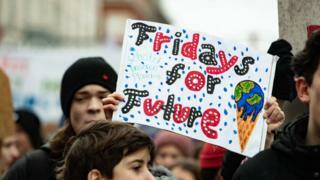 Her strike has inspired students from around the world, leading tens of thousands of students from Germany, Japan, the UK, Australia and many more to join her #FridaysforFuture demonstrations. She told Rolling Stone magazine that the first woman to inspire her was Rosa Parks. "I learned she was an introvert, and I'm also an introvert," says Greta. Talking about Rosa Parks, Greta explained how "one person can make such a huge difference." Greta has been missing lessons every Friday to continue protesting outside the Swedish parliament. I can't vote, so this is one of the ways I can make my voice heard. There's loads of ways to help the environment. Let us know what you are doing to tackle climate change in the comments below.